Susanna our tour guide was very knowledgeable and explained everything in detail. Her English was very good and she was a joy to be with for the day. 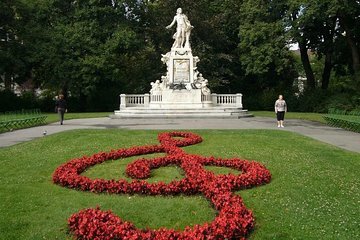 We enjoyed the private tour around visiting the musical related sites in the centre of Vienna and the gravesite of the great musicians. Our children enjoyed the visit to the House of Music. It was a great tour and very interesting ... I made a mistake not pointing out one of us had a musical background but it was very informative for us all and we have seen many places that we would never have seen. I thoroughly recommend it. Our tour of Vienna Classical with Zuzana Godarova was outstanding. She was friendly, helpful, knowledgeable and funny. Her English was great and she was passionate about classical music and the musicians of Vienna. We happen to get a beautiful day and the three participants and our guide logged 17000 steps/ nearly eight miles during the tour period. Without your tour and Zuzana's guidance we would have never seen the famous cemetery and its church. That is tough for independent tourists to get to. Highlights for my wife included the Mozart and Beethoven museums as well. Two of the walkers were trained musicians and one Martha is still a practicing professional musician. We hope Zuzanna picked up a few musical tidbits because we all did for sure from her. One participant is an avid amateur photographer and he took more than 1400 great photographs that day. The original information for our tour missed on the phone number for Zuzanna but a quick call to a helpful agent in Los Vegas cleared it up. Great tour for us, thank you for arranging it and a wonderful guide.